Email Responder News - Super Holiday promotions for Customers only. From 3$ per license. This offer is available for a limited* time and for 4Team Corporation customers only (before November 26 2008)! 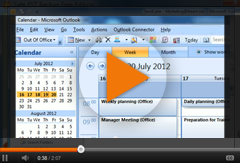 As a world leading Developer of solutions for Microsoft Outlook we offer a wide range of plug-ins. We are happy to inform you about our Super Holiday promotions. Purchase any product for just $3.14 per product license with SUPER PACK! Purchase any sharing and synchronization product for just $13.95*** per license! Purchase additional licenses and upgrades of products that you already own with a 25% discount! All purchases come with one year of Free technical support and updates. Please note: All sales under this promotion are final and no refunds are available after purchasing. Every user account (on each workstation) needs an individual license. Before purchasing please download and try our tools for free at: http://www.4team.biz. *This promotion will expire January 1 2009 12AM EST US. ***The offer is valid for products you do not already own. ****Product Upgrade is needed after one year of free technical support and update period is over.